Bear Mountain. Public domain photo. In colonial Connecticut, capital crimes included idolatry, witchcraft, and blasphemy. The first person executed for witchcraft in what is now the United States was Achsah Young, who was executed in Hartford in 1647. In 1786, Hannah Occuish, a 12-year-old Native American girl, was hanged in New London for the murder of a young white girl. She may have been the youngest person ever executed in the United States. The last person executed in Connecticut who had exhausted all appeals was Frank Wojulewicz, who was executed in 1959 for murdering a police officer and bystander while committing a robbery. The two men executed since then both dropped appeals and "volunteered" for execution. Connecticut is one of five states that gives clemency authority to a board, rather than the governor. No death row prisoner was granted clemency during the period in which the death penalty had been reinstated. In 2009, the Connecticut legislature passed a bill to abolish the death penalty, but the bill was vetoed by Governor M. Jodi Rell. In 2012, Connecticut abolished the death penalty for future crimes. Eleven men remained on death row until 2015, when the Connecticut Supreme Court ruled by a vote of 4-3 in State v. Santiago that the death penalty violated the state constitution. The Court indicated at that time that the remaining death row prisoners were entitled to be resentenced to life without parole. However, after one of the justices in the Santiago majority left the Court, prosecutors sought and were granted permission to re-open the issue. On May 26, 2016, in State v. Peeler, the Court reaffirmed its holding in Santiago by a vote of 5-2. The remaining death-row prisoners were resentenced one at a time, as their cases were decided in the lower courts. On December 6, 2018, Richard Roszkowski became the last of the eleven formerly death-row prisoners to be formally resentenced to life without possibility of release. 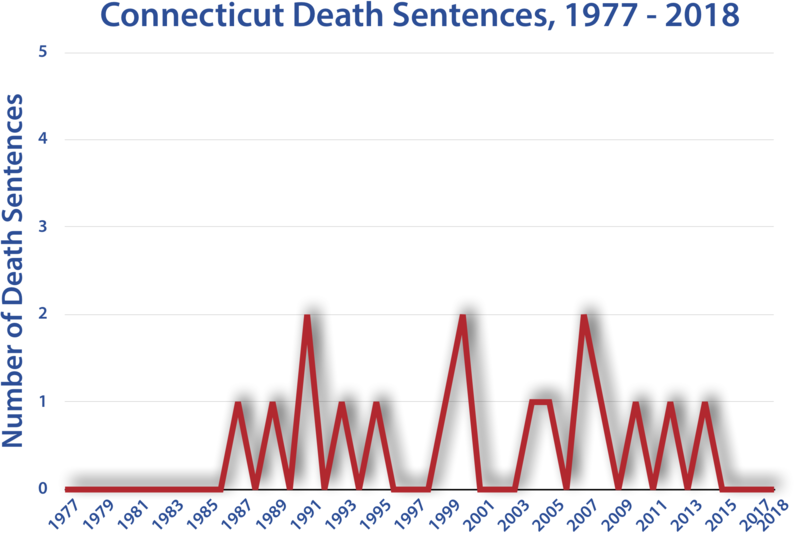 Connecticut has only carried out one execution since the reinstatement of the death penalty. Michael Ross was executed by lethal injection in 2005 after giving up his appeals. "[W]e are persuaded that, following its prospective abolition, this state’s death penalty no longer comports with contemporary standards of decency and no longer serves any legitimate penological purpose." "In concluding that the death penalty is unconstitutional, however, we recognize that the legal and moral legitimacy of any future executions would be undermined by the ever present risk that an innocent person will be wrongly executed." "In prospectively abolishing the death penalty, the legislature did not simply express the will of the people that it no longer makes sense to maintain the costly and unsatisfying charade of a capital punishment scheme in which no one ever receives the ultimate punishment. Public Act 12-5 also held a mirror up to Connecticut’s long, troubled history with capital punishment: the steady replacement by more progressive forms of punishment; the increasing inability to achieve legitimate penological purposes; the freakishness with which the sentence of death is imposed; the rarity with which it is carried out; and the racial, ethnic, and socio-economic biases that likely are inherent in any discretionary death penalty system. Because such a system fails to comport with our abiding freedom from cruel and unusual punishment, we hold that capital punishment, as currently applied, violates the constitution of Connecticut." (State v. Santiago, SC 17413, Aug. 13, 2015). After one of the members of the Santiago majority left the court, prosecutors asserted that they had not been given adequate notice that the Court had been considering declaring the death penalty unconstitutional and that they had not had a fair opportunity to brief and argue the issue. The Court, while not accepting that argument, agreed to permit the State to revisit the issue in State v. Peeler. On May 26, 2016, the Court ruled in Peeler, reaffirming (5-2) its holding in Santiago. Chief Justice Chase T. Rogers, one of the Santiago dissenters, joined the majority in upholding Santiago. 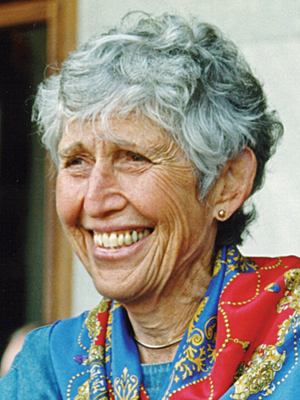 She wrote, "I feel bound by the doctrine of stare decisis in this case for one simple reason—my respect for the rule of law. 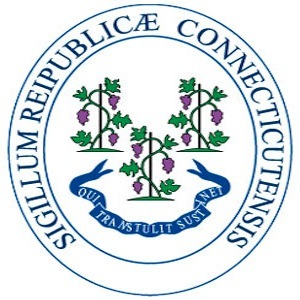 To reverse an important constitutional issue within a period of less than one year solely because of a change in justices on the panel that is charged with deciding the issue, in my opinion, would raise legitimate concerns by the people we serve about the court’s integrity and the rule of law in the state of Connecticut." 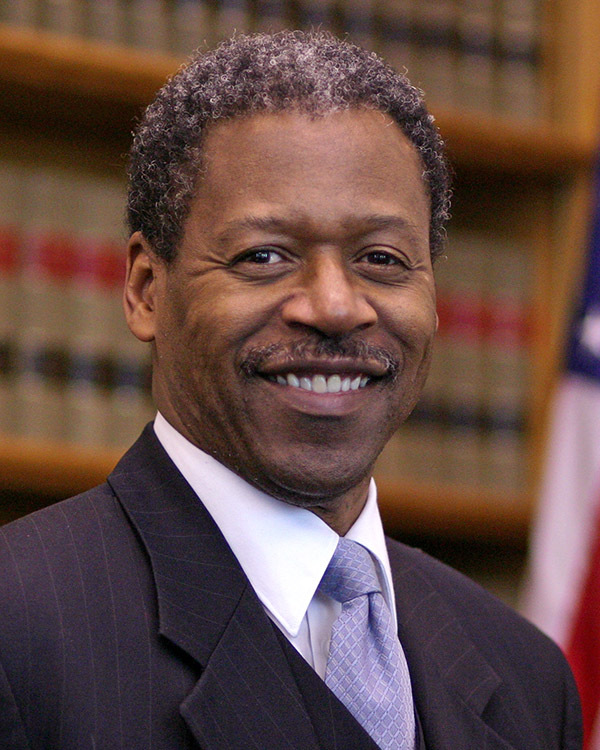 Justice Richard A. Robinson, who joined the Court after the Santiago decision, concurred on similar grounds, writing: "In my view, stare decisis considerations of this court’s institutional legitimacy and stability are at their zenith in this particular case, given that the only thing that has changed since this court decided Santiago is the composition of this court." Two additional states—Maryland and Nebraska—have abolished capital punishment.5 The number of executions carried out nationally has continued to decline, falling by more than one third from 2011 to 2015, and is now lower than at any time since 1991.6 The number of new capital sentences imposed likewise continues to fall; the total fell by nearly 40 percent between 2011 and 2015, and is now by far the lowest of the post-Furman7 era.8 It has been more than one decade since the last execution was carried out in New England (Michael Ross, who essentially volunteered to die, in 2005), and more than five decades since the one before that (Joseph Taborsky in 1960). That this is all true even though many of the short-term factors we considered in Rizzo no longer apply strongly suggests that the persistent, long-term declines in capital punishment are just what they appear to be—evidence that contemporary standards of decency have evolved away from execution as a necessary and acceptable form of punishment. Significantly, the Death Penalty Information Center has published its 2015 year-end summary, and the statistics for 2015 continue to reflect a substantial decline in the imposition and implementation of the death penalty nationwide.9 If anything, the pace of decline is accelerating. 5 Death Penalty Information Center, ‘‘States With and Without the Death Penalty,’’ available at /states-and-withoutdeath-penalty (last visited May 12, 2016) (Maryland abolished death penalty in 2013, and Nebraska abolished death penalty in 2015). 6 See Death Penalty Information Center, ‘‘Executions by Year,’’ available at /views-executions (last visited May 12, 2016) (detailing number of executions in United States since 1976). 7 Furman v. Georgia, 408 U.S. 238, 92 S. Ct. 2726, 33 L. Ed. 2d 346 (1972). 8 See Death Penalty Information Center, ‘‘Death Sentences by Year: 1976–2014,’’ available at /death-sentences-year-1977-present (last visited May 12, 2016); Death Penalty Information Center, ‘‘2015 Sentencing,’’ available at /2015-sentencing (last visited May 12, 2016). 9 See generally Death Penalty Information Center, ‘‘The Death Penaltyin 2015: Year End Report,’’ available at /documents/2015YrEnd.pdf (last visited May 12, 2016). "[T]he campaign to abolish the death penalty in Connecticut has been led by dozens of family members of murder victims, and some of them were present as I signed this legislation today. In the words of one such survivor: ‘Now is the time to start the process of healing...'"
-Gov. 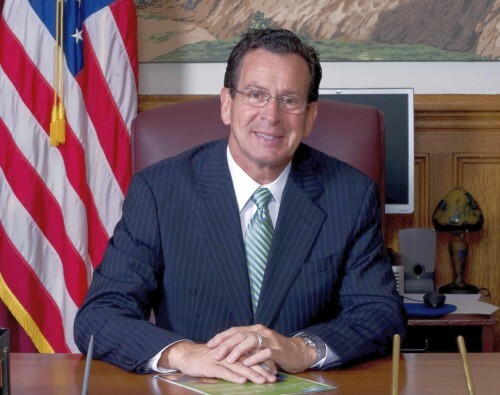 Dannel Malloy, on signing repeal bill, April 25, 2012. "For me, the most compelling reason to reject the death penalty is to set ourselves on the path to the kind of society we really want for our future. I want something better for our future. We cannot confront darkness with darkness and expect light." "We make mistakes throughout the criminal justice system, unfortunately. I also don't feel that the state should be in the business of taking anybody's life, no matter how horrendous the crime." "I cannot stand the thought of being responsible for someone being falsely accused and facing the death penalty. For me this is a moral issue...I don't want to be part of a system that sends innocent people..to the death penalty." "The law is costly, can be arbitrarily applied and does not produce accurate results. It is not unusual for the legal process, from the beginning to the end, to take 20 years." "For everyone, it's a vote of conscience. We have a majority of legislators in Connecticut in favor of this so that the energies of our criminal justice system can be focused in a more appropriate manner."